"Unwrapped" at The Malthouse Gallery, Town Mill, Lyme Regis 8th to 27th December. 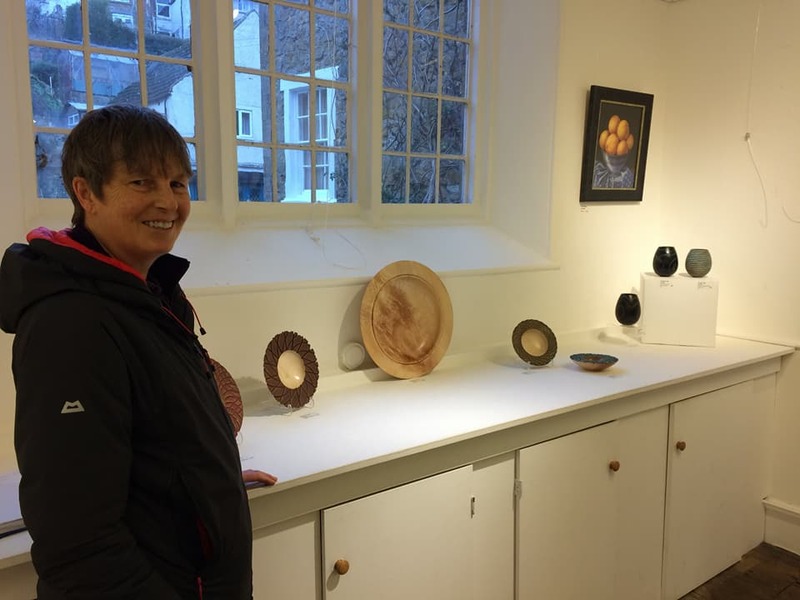 Handmade gifts for Christmas featuring work from a number of makers. 10.30am to 4.30pm daily. I will be assisting with Axminster Woodturners Club on our stand. I will be representing our club by demonstrating on the stage twice during the weekend. On Friday: 1.30pm, on Saturday: 10.30am. On both days I will demonstrate on the club stand and the AWGB stand if time allows. I will be demonstrating on Sunday 14th October on the AWGB stand. My piece "Green Dragon" will be part of the Turnabout: Women at the Lathe Exhibition in America. Jan 15th to Mar 12th at the Appalachian centre for Craft, Smithville, Tennessee. June 3rd to July 29th at the American Association of Woodturners Gallery at St. Paul, Minnesota. Aug 10th to Oct 10th at Arrowmont School of Arts and Crafts, Gatlinburg, Tennessee. 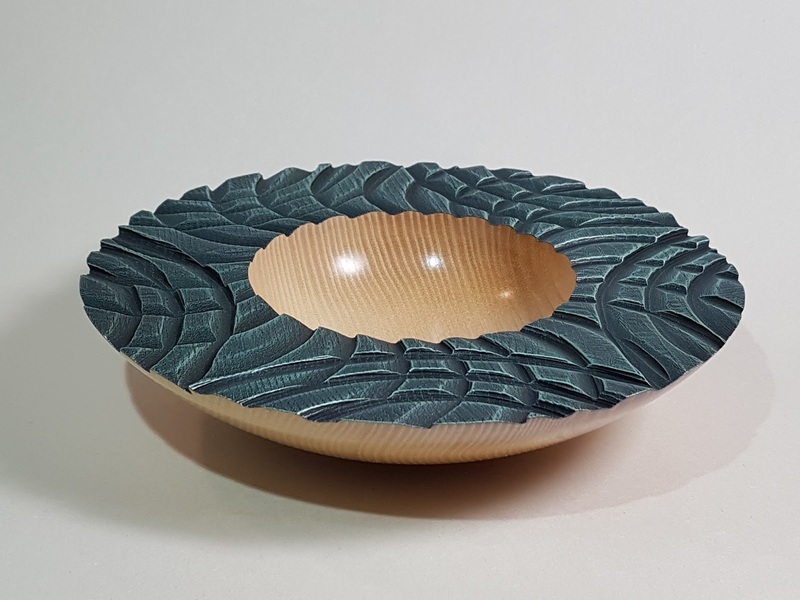 Yandles show: I will be demonstrating along with other club members of Martock and District Woodturners on our club stand art Yandles show on 7th and 8th September. Demonstration: I will be demonstrating at Bristol and Avon Woodturners on 19th July. Demonstration: I will be demonstrating at Burnham on Sea Woodturners on April 25th. Yandles show: I will be demonstrating along with other members of Martock and District Woodturners on our club stand at Yandles show on 13th and 14th April. Show cancelled. Exhibition: Exhibiting at Ilminster Arts Centre in January 2018 along with the other prize winners from the Art Competition in August. Dates will be added later.